The CantAmore Chorus was founded November 2002, by in the Korean community in the San Diego area by founders who share their love and passion for choral music. The term “CantAmore” was put together by these founding members, with the words Cantare (“to sing”) and Amore (“to love”), in an attempt to reflect their heartfelt love for singing. 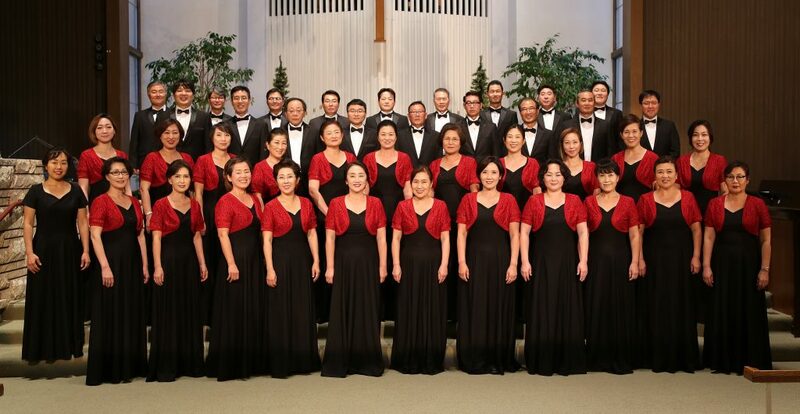 The CantAmore Chorus, a choral group of men and women (along with its all-women subgroup, the Women’s Chorale) is dedicated to musical excellence, study and performance by singers/musicians of Korean American descent. Led by Music Director Mr. Hyun Kwan Chung, the CantAmore Chorus seeks to foster and promote the continued cultural awareness of the San Diego Korean American community in the music and arts, by means of its performances and music, community of brotherhood and camaraderie. The CantAmore Chorus holds its annual concerts during the Winter. In addition, it holds its annual Korean community Spring festivals in which numerous musical talents from the local musical community perform along with the Chorus.